BAD DRIP Labs - Dead Lemon 60mLREST iN PiECES…diSmembered and dRaiNed LEMON remAins, ..
BAD DRIP Labs - Farley's Gnarly Sauce ICED out 60mLstiLL gNARLY as ever...iCED OUTTT wiTh menTHoL! B..
BAD DRIP Labs - Don't Care Bear ICED out 60mLstiLL DON'T cARE...iCED OUTTT wiTh menTHoL! 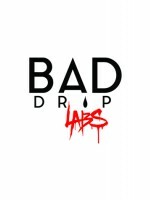 GreaT ..
BAD DRIP Labs - Bad Apple 60mLAPPLES&APPLES&APPLES&APPLESAvailable in a 60mL bottle in 0..
BAD DRIP Labs - God Nectar 60mLPASSION FRUIT | ORANGE | MANGO | GUAVAAvailable in a 60mL bottle in 0..
BAD DRIP Labs - Bad Blood 60mLFrom the RV, to BAD DRIP Labs... We cooked up this crystal blueberry p..
BAD DRIP Labs - Cereal Trip 60mLConceived from the tear drops of crying clowns is your daddy's favor..
BAD DRIP Labs - Don't Care Bear 60mLGreat gooey globs of gluey, gloppy, gummy guts, mutilated melon ..
BAD DRIP Labs - Farley's Gnarly Sauce 60mLBased off the recipe older than Bob Ross's paintbrush, we ..
BAD DRIP Labs - Ugly Butter 60mLThey don't call it ugly for nothing... Uncle Freddy's famous, fancy ..